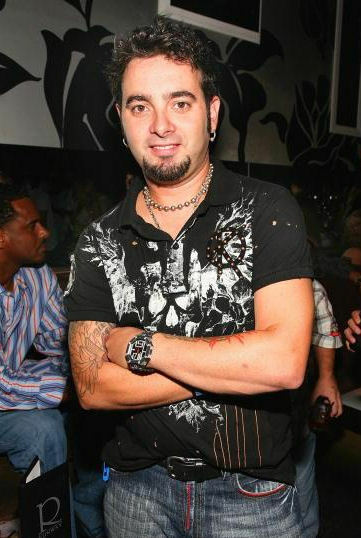 Welcome to this fan site about former *NSYNC member Chris Kirkpatrick. Judging from Chris Kirkpatrick's surname it's obvious there is Irish heritage in him. What is perhaps more difficult to judge without background information is that he also has Scottish, Spanish and Native American heritage. Kirkpatrick was born i Pennsylvania on October 17th 1971, and graduated from high school in Dalton Ohio. After that he continued studying at a college in Orlando, Florida, while simultaneously singing in the Doo Wop group at Universal Studios. Today Kirkpatrick is married to his long time love Karly Skladany and in 2017 they welcomed their first child, a son born on October 10. Chris Kirkpatrick had his big musical breakthrough with boyband *NSYNC, which was a huge it in the late 1990's and early 2000's. He had the countertenor part in the band since he possesses an incredible ability to hit very high notes. The band was formed in 1995 and had their big breakthrough in 1998 with hit song I want you back. Front person in the *NSYNC band was Justin Timberlake who has had a very impressive solo career after the dissolving of *NSYNC. Other band members were JC Chasez, Joey Fatone and Lance Bass. Chris Kirkpatrick, being a multi talent, has continued his career mainly in music, but also acting. He has participated in TV-series Gone Country where he took the audience by surprise by showing what a talented country musician he is. He has sung and acted in several music videos of fellow pop artists. Furthermore, Kirkpatrick has offered his voice in several TV-formats, mainly kids' ones. Do you enjoy pop music? Listen to Chris Kirkpatrick as you work, drive and play. A good pop music mix could create the perfect atmosphere for playing a fun game or a couple of popular online slots, so you won’t have to listen to the game’s repetitive music over and over again as you spin!